Swimming: Boulder Beach is a great park for swimmers. 200 feet of beach and swimming areas, plus play areas and a concession stand. Boating: Boats are welcome at the park. 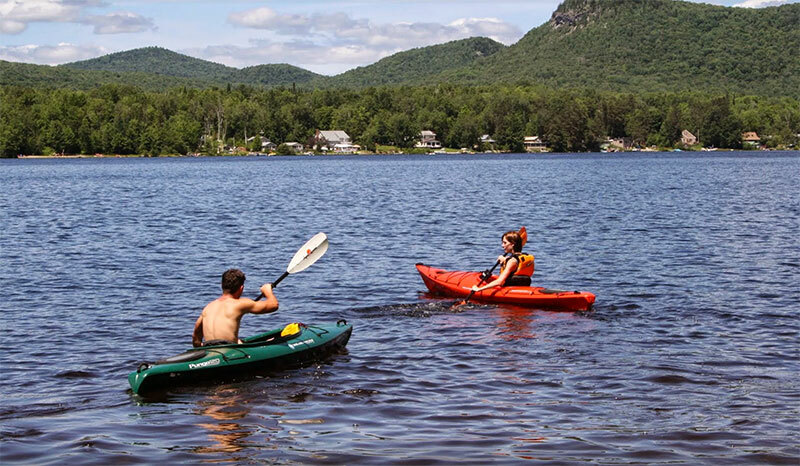 There is a car-top boat launch and canoes, kayaks and pedal boats are available to rent. Fishing: Lake Groton has perch, pickerel, bass and bullhead. 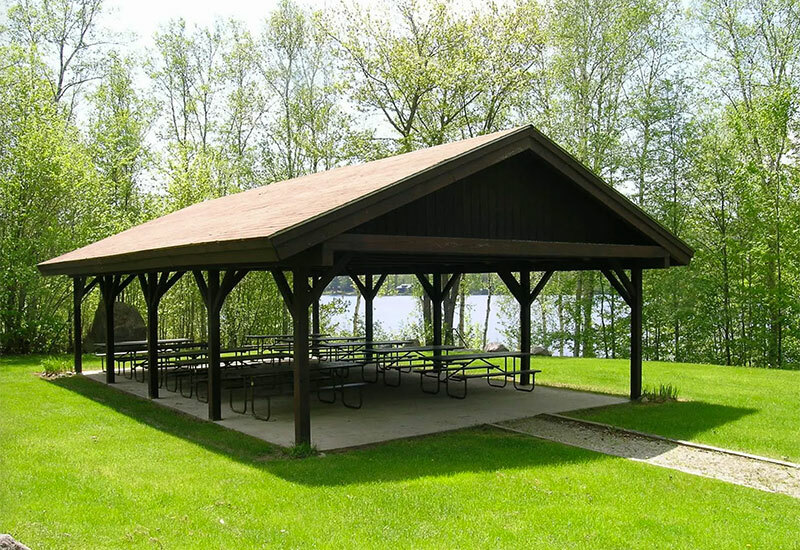 Picnicking: There are 75 shaded picnic sites with tables and grills. This state park gets its name for the many large rocks left by glaciers on the sandy beach of Lake Groton and throughout Groton State Forest. The park is located on the eastern shore of 423-acre Lake Groton. Native Americans historically traveled through the area now known as Groton to hunt, fish and gather wild crops. As early as 1704, French settlers were using routes through Groton to reach Canada and Massachusetts. Colonists settled this area of Vermont earlier than other parts of the State due to the network of waterways which provided relatively easy access. The rocky, tree covered hillsides were originally made up of white pine, spruce, hemlock, beech, maple and birch and were logged in the 19th century by local farmers for lumber, fuel and potash. The logging industry was operated on a large scale for more than 100 years while the Montpelier and Wells River Railroad operated in the area. Today, logging is still a vital industry; Groton State Forest is managed for multiple uses--- including timber harvesting, wildlife habitat, and recreation. Groton State Forest, with over 26,000 acres, is the one of the largest contiguous tracts of public lands managed by the Department of Forests, Parks and Recreation. This park is a day-use-only park, though there are many picnic sites throughout. There are also restrooms with flush toilets, hot and cold running water, changing rooms, a concession stand and boat rentals. The Groton Nature Center is nearby and serves all the state parks in the Groton State Forest. Boulder Beach has a picnic pavilion that can be rented. The cost is $100, plus the standard per-person day use fee. The pavilion seats up to 100 people and has group charcoal grills, picnic tables, and nearby restrooms. There is no electricity in this pavilion.